If you require compartmentalized protective organization of your components or equipment, our padded dividers are the right choice. Easily tailored to your needs with repositionable hook and loop fasteners, our padded dividers are designed to easily organize and protect your equipment. This versatile interior system allows fror maximum customizability and protection of your items. 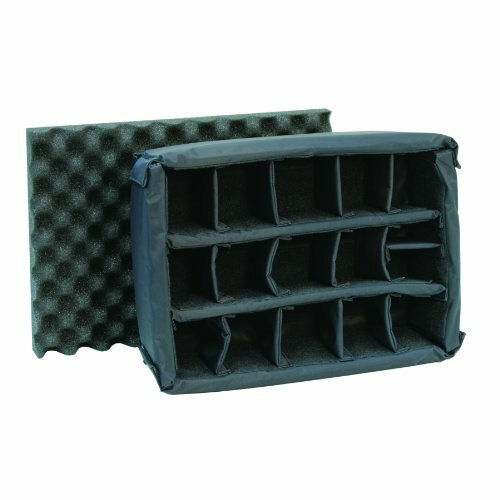 Comes with 1 base, 2 long dividers 13 short dividers and 1 convoluted foam pad. If you have any questions about this product by Nanuk, contact us by completing and submitting the form below. If you are looking for a specif part number, please include it with your message.